The Arnolfini Portrait 1434 Jan van Eyck (1390-1441/Flemish) Oil on wood Panel National Gallery London England (18 x 24). Posters for your wall and fine art prints for the home or office. 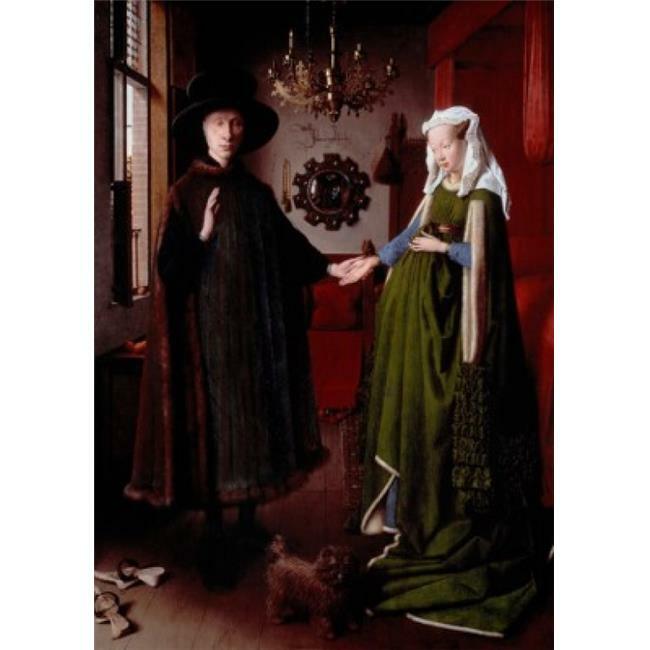 The Arnolfini Portrait 1434 Jan van Eyck Oil on wood Panel National Gallery London England is a licensed reproduction that was printed on Premium Heavy Stock Paper which captures all of the vivid colors and details of the original. Use print tape or putty for a classic look or frame it for a more formal look. No matter what you choose this print accents any living space.